Boost Sag? You might still need a boost controller. 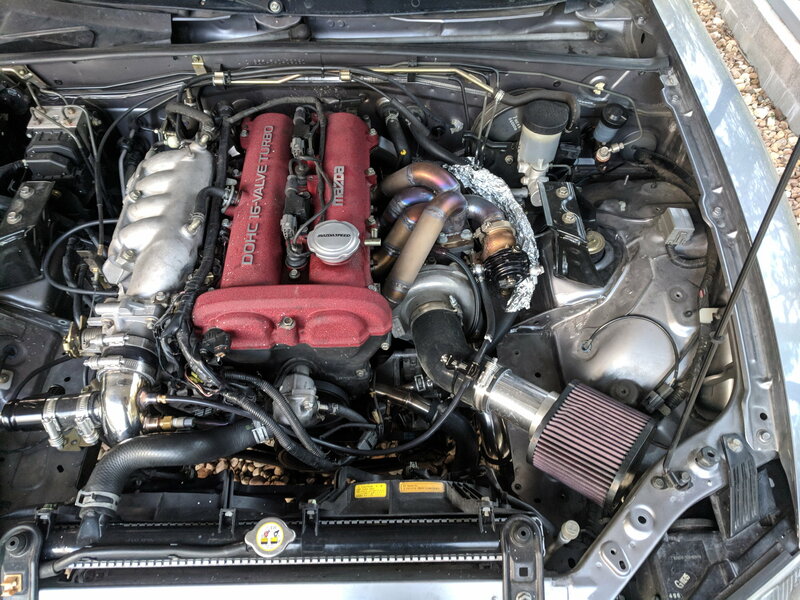 - Miata Turbo Forum - Boost cars, acquire cats. I saw that stickied post about boost sag with its nice infographics, so I decided I should test the theory with my setup since I was having a little boost droop up top. My findings? It didn't really do a damn thing. 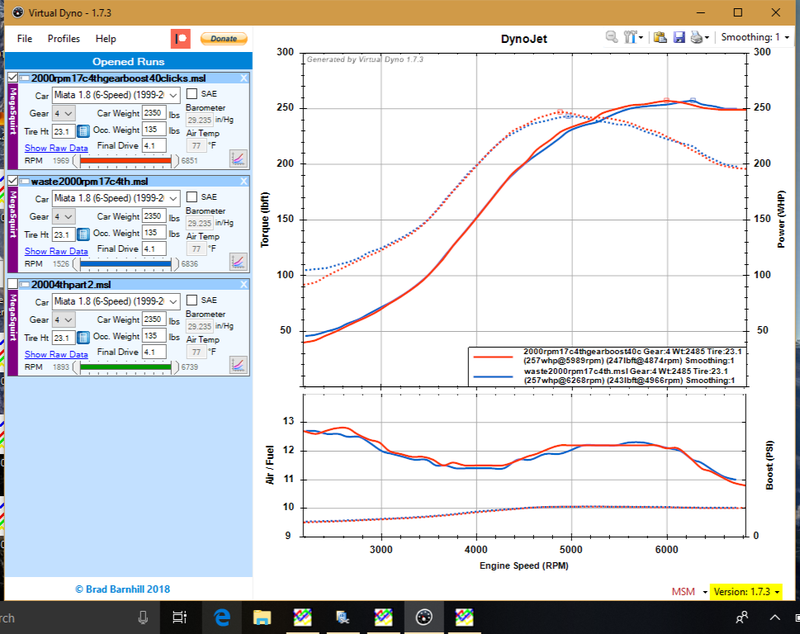 I had to adjust the MBC back about 3 clicks to keep peak boost the same in order to keep the test as equal as possible, but timing, fuel, road conditions, and outside temperatures stayed the same. I started in 4th gear at 2000 RPM on a flat road and floored it all the way to 7000 RPM. As you can see, peak power is a little further out, but when I compared all my runs, it's an almost negligible amount. Red graph is with the wastegate tapped into the pipe right after the compressor outlet. Blue is taking its reading just before the throttle body. 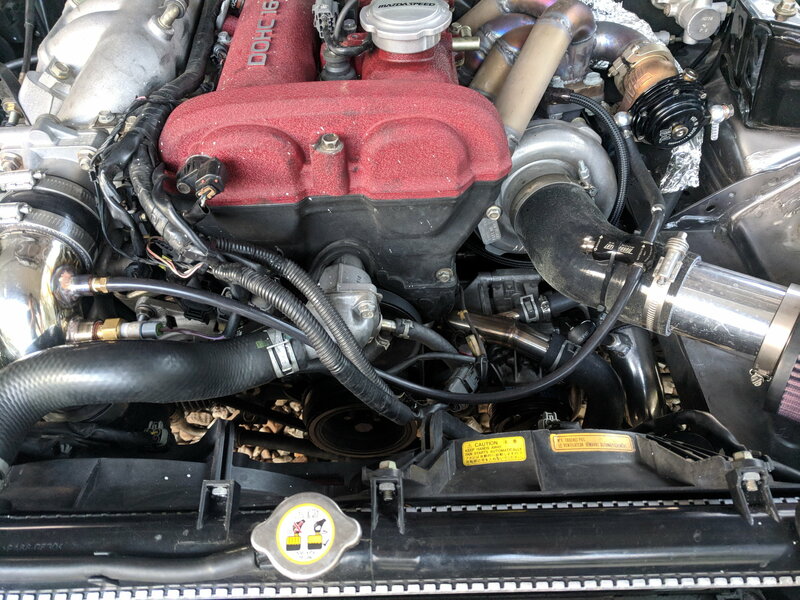 You can see the new routing coming out of the shiny elbow and the old one welded into the aluminum pipe on the other side of the lower radiator hose down there. Maybe I'm misinterpreting something, but boost looks rock solid at 10psi. You've got some decent AFR sag, dipping into the 10s by redline. Pull fuel past 6000rpms and you'll continue to make power. Actually... before you do that, what's your timing map look like? Most tunes I've seen ramp timing up toward redline. You may be able to add some timing and it'll lean itself out. I would still have expected to see the difference in the pressure drop of the FMIC. Possibly add a bit of fuel in the middle RPM range, to 11.8 or so, based on conventional MT protocol. Is that a vcts intake manifold? I’m surprised you even make power over 6000rpm. Yes. It is really that bad? Never seen one get close to increasing power above 6, much less flat lining like yours. 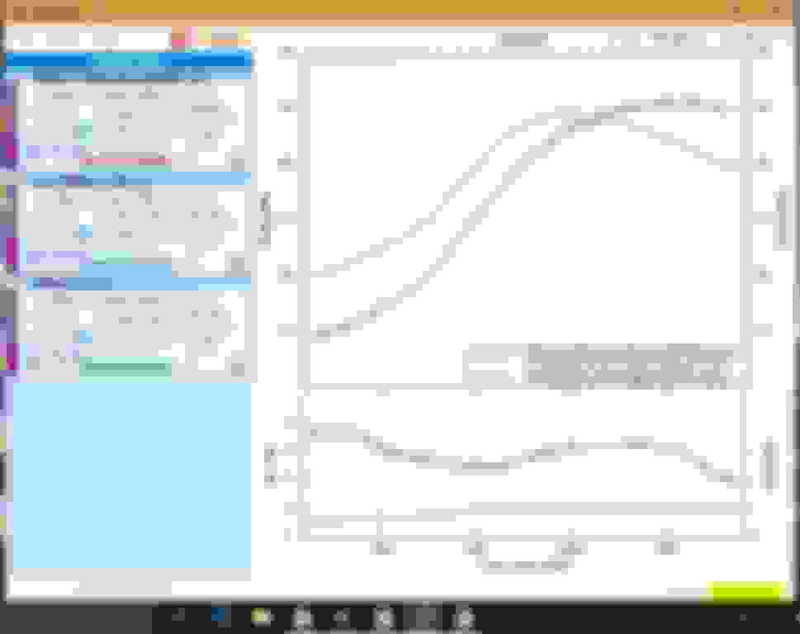 I can show you a dozen or more dyno graphs that illustrate your point. Not saying it can’t happen, but it is weird with no boost increase up top. It's probably not dropping so hard because I've got a turbo that's far too large for the application. I'll have to get a 99-2000 mani for the engine I'm building and then swap the 2.5" exhaust for a 3". Boost sag? No, you don't need EBC. Quick Reply: Boost Sag? You might still need a boost controller.